Fire at Gas Stations: Some Facts, Some Statistics and Some Prevention Tips! Gas stations are fire-prone areas, that’s a fact, there is no argument about it! What types of fires usually occur at gas stations? The fire breakout patterns at gas stations have continuously varied across the years. There was a time when structure and outside fires were quite common at gas stations. Today, vehicle fires dominate. And the remaining 12% are outside trash fires. But what triggers a fire at gas stations in first place? There are many possible causes of gas station fires. From static electricity to dumb dumpers to negligence on part of the drivers or staff – and everything in between. There is this quite fascinating debate that people have regarding the use of cell phones at gas stations and how (and how it does not) it contributes to gas station fires. Those who are in favor of using cell phones at gas stations (meaning, those who don’t think using cell phone at gas stations is dangerous) have plenty of scientific literature and studies to back their arguments. For them, there is no way cell-phones can trigger a spark. But then, what about the many incidents where we have seen customers using cell phones at gas stations and accidentally getting caught up in a fire? Surely, people who are against the use of cell phones at gas stations also have materials in evidence? Cell phones can’t trigger sparks at a gas station on their own. But, the use of cell phones can definitely create situations where a static discharge can occur and set a station on fire. Static electricity is one of the main causes of fires at gas stations. It’s a fact and we all know that. Using cell phones at gas stations can give way to activities that can statically charge customers as they refuel their gas tanks. For example, a customer may receive a call and re-enter the vehicle to answer it. Touching the seat cover, their bodies may well become statically charged. Still, on the phone, the customer may step out of the vehicle and directly touch the nozzle or the tank capcreating a static discharge. That’s why it’s advised not to re-enter a vehicle while you are still refueling. If you must, then make sure you touch a metal part of your vehicle while stepping out, to completely discharge your body before you touch the nozzle. Since a customer is less likely to remember these instructions when using a cell phone at a gas station, it’s therefore advisable not to use cell phones at all. It’s also why gas stations have warning signs pasted onto their walls, instructing customers not to use cell phones while at the facility. Install fuel nozzles with breakaway devices. This will prevent accidental sprays and spills. How accidental spills and sprays can cause a fire breakout at a gas station? Check this out! Keep your gas station equipment maintained to prevent leaks and short circuits. Affix appropriate warning labels on the walls of your gas station to keep the staff and customers informed about potential causes of fire and ways to avoid them. Store fuel stock and other flammable products away from direct sunlight. Avoid using cell phone at a gas station unless necessary. 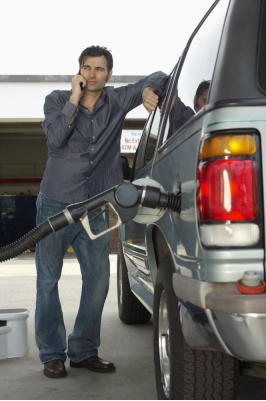 Avoid re-entering a vehicle when refueling. Don’t smoke at a gas station. Do not top off your gas tank. If the tank overfills during refueling, immediately press the emergency shut off button on the gas pump. Let’s work together to make our gas stations safer! 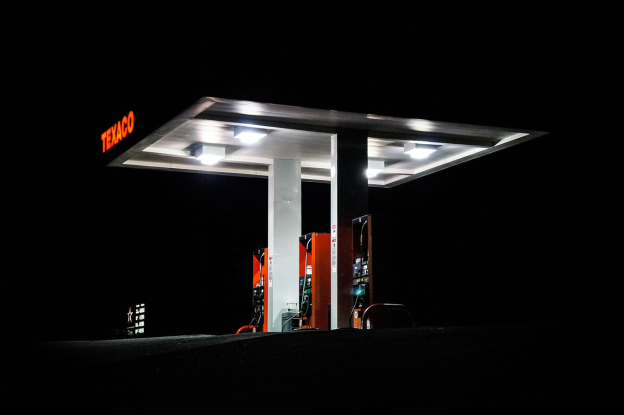 A BONUS read: Leverage the Power of Media to Increase Sales at Your Gas Pump!